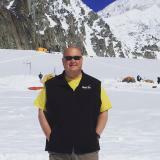 Don&apos;t just dream about standing on Denali - you can make it happen with a memorable flightseeing trip from Talkeetna. 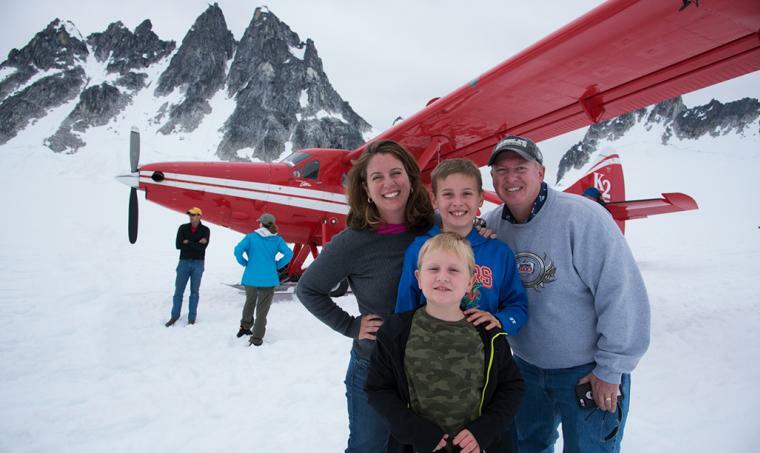 Talkeetna is home to several aviation companies that offer different tours, all of which take you into the Alaska Range, with its many peaks and glaciers in full view. 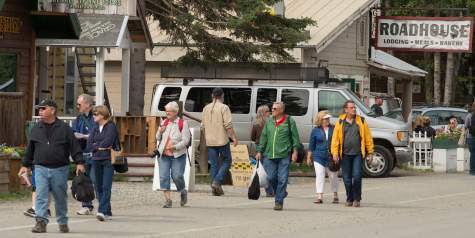 Just 50 air miles from the base of Denali, Talkeetna is the perfect place to have a Denali experience that you&apos;ll remember for years. 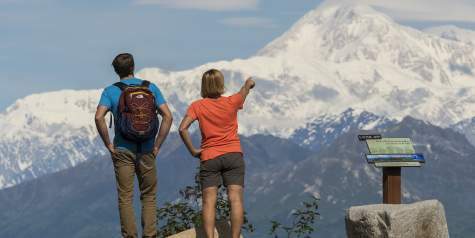 The Alaska Range is filled with majestic peaks like Mount Hunter, Denali and Mount Foraker. It is one of the most untamed places on the planet, and a flightseeing trip puts that into perspective for visitors. As you fly through the many valleys, you&apos;ll spot countless glaciers and smaller peaks along the way. For the ultimate Denali experience, add a glacier landing to a flightseeing trip. It is the best money you&apos;ll spend. After flying through the Alaska Range, you&apos;ll land on a glacier - sometimes, base camp where there are climbers in the spring - and spend about a half hour on the glacier. While on the glacier, the grand scale of the mountain is truly apparent. Towering peaks that feel like a few hundred yards away are actually miles away. A few years ago, we took a flightseeing trip and landed on the glacier. As we got out of the plane, another passenger began to cry. Fearing something was wrong, the pilot immediately assessed the situation, because the nearest medical facility is obviously not right around the corner. "Oh, nothing&apos;s wrong. This is just such a surreal and spiritual experience, standing here," she said. "We are on top of the world." There is no wrong time to take a flightseeing trip, but your experience will vary. Winter provides amazing contrast on the mountain, and great light from sunrises and sunsets. A majority of people come in the summer, however. In the spring and early summer, you&apos;ll spot climbers on the mountain and even at base camp should you land there. Climbers are typically off the mountain by the beginning of July, but you&apos;ll still have an amazing experience. Flightseeing is highly dependent on weather, and none of the companies will fly if weather is an issue. It&apos;s best to call ahead to the company you are flying with for a weather check the day of your flight. If you do get weathered out of flying, there are still a ton of fun activities in Talkeetna to enjoy.